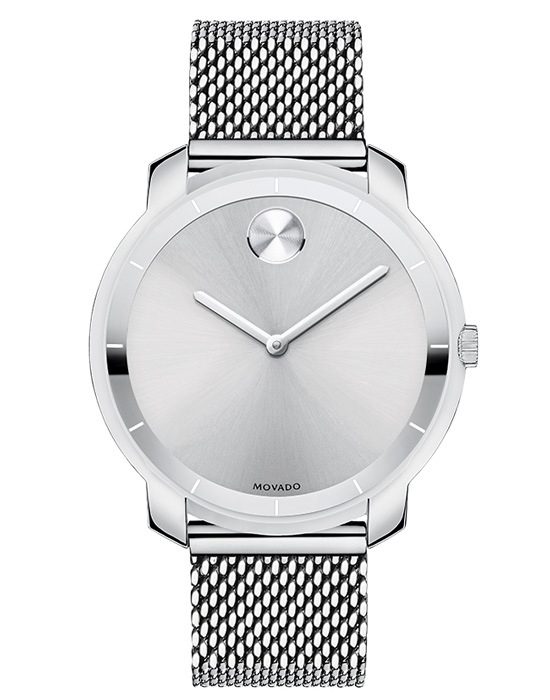 flat 36 mm stainless steel case, silver-toned sunray dial with polished hour index ring and silver-toned sunray dot and hands, stainless steel mesh-link bracelet with mesh-textured back sizing links and deployment clasp, K1 crystal, Swiss quartz movement, water resistant to 30 meters. Minimum: $31.25 (G) per model. * Remove Existing Engraving: $7.90 (G) per watch.